The blistering song about gun violence became the first rap song in history to win Song of the Year. 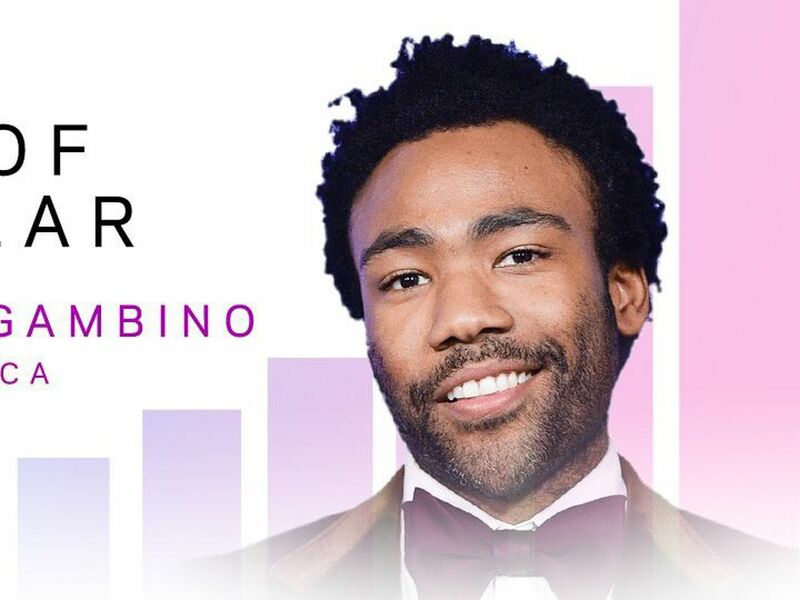 Although he wasn’t actually in the house at the 2019 Grammys, Donald Glover brought the house down when his alter ego Childish Gambino won Song of the Year for “This Is America” during Sunday’s ceremony — becoming the first rap song in Grammys history to win the award. Later in the evening, he also picked up the Grammy for Record of the Year, which honors the production of a single song, as well as the Grammy for Best Music Video. “This is America” and its scathing video about gun violence had a massively viral release last May and became one of the most talked-about musical moments of 2018. It has since racked up nearly 500 million views on YouTube. “This Is America” won Song of the Year — one of the Grammys’ four top honors — over fellow nominees including Black Panther’s hit single “All the Stars” and Drake’s “God’s Plan.” Donald Glover and songwriter Ludwig Göransson shared songwriting credits. It won Record of the Year over nominees including “God’s Plan,” Cardi B’s “I Like It,” and “Shallow” from the soundtrack to A Star is Born. And it beat out nominees like Janelle Monáe’s “Pynk” and The Carters’ “Apes**t” for Best Music Video. Glover’s absence at the ceremony — host Alicia Keys accepted the Song of the Year award on his behalf — was one of a cadre of high-profile Grammy disses among artists with multiple nominations in major categories. These included Drake and Kendrick Lamar, whose 2018 albums Scorpion and the Black Panther soundtrack, respectively, were each nominated for Album of the Year. Both Drake and Lamar reportedly declined invitations to perform, and their decisions, like Glover’s absence, were generally interpreted as protests against the Grammys’ problems with diversifying its many, many awards categories. But to his fans, Glover’s absence despite his wins may have only underscored the points he’s been making in his music. CHILDISH GAMBINO WINNING EVERYTHING AND NOT SHOWING UP. AN ICON.